Miami Cancer Institute Campaign Rolls Out first 2 of 8 Executions. Well after a long wait and much anticipation the Miami Cancer Institute has finally begun to roll out it’s ad campaign shot by Pete Barrett last summer. Shown here are the first two in a series of eight ads which Pete and his team created for MCI working in close collaboration with Republica Advertising and Cortez Brothers Productions. All post production and retouching of the images was done by Pete Barrett. Pete also worked closely in collaboration with Saddington & Baynes out of London to create and later incorporate the CGI letter “C” element that is a recurring prop in all of the ads. This was a great shoot that involved a fairly complex production, something that Pete is very well versed in. Working closely with Cortez Brothers Productions (who was also producing a series of TV spots for the client), Pete and his team of roughly 25-30 people shot 8 different executions of final images that involved combining lifestyle shots of people in an environment with a large 3 dimensional letter “C” also in the shot which would be created digitally in a CGI environment. This required shooting many elements to be layered and retouched into the image in post as well as capturing lighting, shadowing and size & dimension measurement info that would later be used in the creation of the 3D – CGI letter “C” element made by Saddington and Baynes ensuring that it would look like it was actually physically there in the space. Still to come are 6 more ads which we cannot disclose at this time as they have yet to be released to the public but as soon as they hit the streets we will post an update. Stay tuned!! This is a quick sequence shot we did for the portfolio in response to an inquiry about shooting something similar to this. Shot in a custom underwater housing with a Canon 1D Mark IV. Here are two of my Favorites from a recent shoot with LeBron James. He was extremely cool to work with. Open to suggestions, took direction well and gave us plenty of time to get it done right. Thanks LeBron! Also special thanks to my crew who put in long hours while we waited for LeBron’s plane to land. We teamed up again with Smalldog Imageworks to do this new image for the portfolios. That is actually my son Jordan jumping his little Huffy Rocket bike with the big training wheels. We also recruited some of the neighborhood folks to be his audience. Click here to see it bigger. Here is the final work from the gig we did recently for Regions Bank. Fun shoot. Everyone was happy and we look forward to working with them again soon! Thanks again to HG Producers for a great production and Scott Dorman of SmallDog Imageworks for doing a great job on retouching! Shot some new stuff for the portfolio with some little skater grommits at the skate park recently. Here are 4 individual portraits we did of the band for their website and other marketing materials. Here is the 2nd poster image for the band Hornit. Well as promised here is the final hero shot from the 6 Flags shoot. Thanks again to a great crew. Worked with Producer Jess Dudley from Wonderful Machine in Philly running our production on this one. Thanks again Jess! Also big thanks go out to Scott Dorman from SmallDog Imageworks for going above and beyond the call of duty! Always a pleasure working with Scott. I recommend the experience if you have not yet had the pleasure! Lions and Tigers and Bears… Oh My!!! 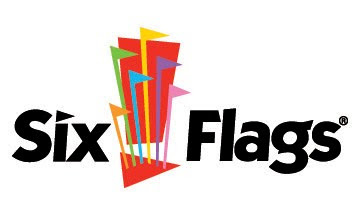 Just Completed another great shoot for Six Flags! Shot 6 Flags Wild Safari in NJ. Spent 3 days shooting animals of all types for their outdoor and print campaign. Putting it all together in post, working again with Scott Dorman from Smalldog Imageworks. Going to be very cool. Will post images as soon as we can. Harrr me maitees! Shiver me timbers! We got so much great stuff during the RenFest weekend. I will post more work from time to time as we get free time in between jobs. Here’s one I did today. Yee Old Guys Part 2. Spent a couple days shooting at the South Florida Renaissance Festival last weekend. If you’ve never experienced one before, I highly recommend going. These people are a trip. They are all “Good day to you, my lord & Me lady….” It is great how the stay and live in character throughout the festival. Tons of fun! Here is the first series of images from our our first day’s shoot. Yee Old Guys from the Days of Yor. Just completed another shoot for Turkel Advertising for the Greater Miami Conventions and Visitors Bureau. Continuing last year’s campaign. Shot 3 more ads for them for this year. Knee deep in retouching as we speak. Cool stuff!! Will show the work as soon as I can release it.